The flooring of your house serves as the foundation for the decoration of all the rooms. Therefore, considerable thought must be given to selecting the right kind of flooring for your rooms. Your selection should be in sync with your taste, lifestyle and budget. It should also go well with your existing furniture and decor, if you are planning to reuse some or most of it. 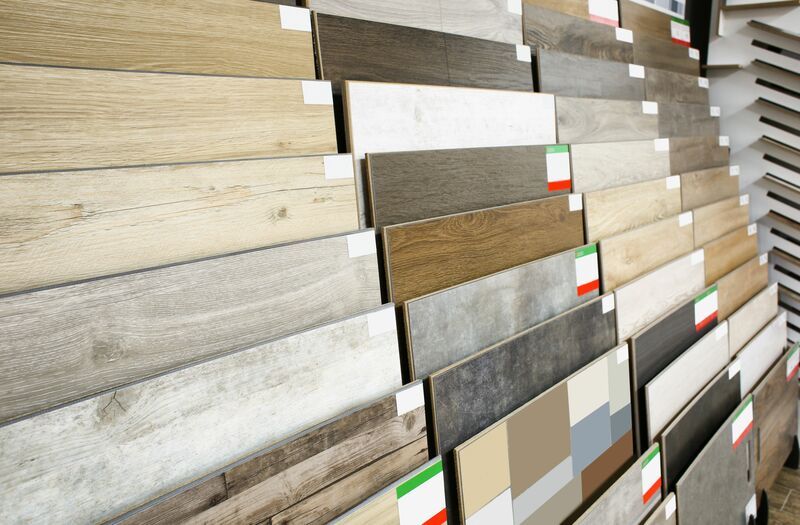 While selecting the flooring material you should keep in mind various factors like design, comfort, safety and maintenance. If your house includes people who are prone to allergies, you'll need to go for clean and dust-free options, which means that wall-to-wall carpeting is definitely out. On the other hand, if your home houses pets and kids, then you need to select materials which are easy to clean and maintain, and remain sturdy for long as such vinyl or laminates. You also need to assess the location of the room before selecting a flooring option for it. Rooms on the ground level or below the ground level (basements) are more prone to moisture absorption. For such rooms, carpets and wooden floorings are not generally recommended. You can use moisture-resistant hardwood or laminates though. Besides, not all floors can handle sub-floor heating. So if you have heated floors, your choice of selection will get more restricted. While it is possible to have the same kind of flooring installed throughout your house, doing so tends to give it a very impersonal look. Besides, you will be limited to choosing a sturdy and long-lasting material, like vinyl or ceramic tiles. Different rooms have different flooring needs, based on their character and use. Therefore, it makes sense to choose different flooring options for different rooms of your house. For kitchens and bathrooms, you need a water-proof and slip-resistant material, which is easy to clean, because these two rooms are very prone to liquid spills. Vinyl is generally the preferred choice of flooring for both. However, ceramic tiles and water-resistant hardwood and laminates can also be used. Non-slip rugs can be thrown in to add color and décor. Avoid deeply grooved or textured flooring, as it is hard to clean it. For a formal living room, costly carpets can be used over granite or stylish marble flooring. But if it's a common "family" room, then it will be better to use sturdier hardwood and laminate options, with some warm and colorful rugs thrown around to blend in and add to comfort. Your bedroom can have plush wall-to-wall carpeting on hardwood or laminates. Lastly, use your creativity: play with colors and patterns to mark your personality on the flooring of your house!